Home > Teacher Appreciation Week Is May 1 – May 5! Here’s How To Pick Out A Great Gift Card For A Special Teacher! Teacher Appreciation Week Is May 1 – May 5! Here’s How To Pick Out A Great Gift Card For A Special Teacher! Do you have a special teacher in your life? Do your kids have one particular teacher that they won’t stop talking about, or who has gone above and beyond the line of duty? National Teacher Appreciation week is coming up from May 1 – May 5 – and this is the perfect time to show your appreciation for everything that teachers do! Teachers are more than just educators. They’re role models, confidants, and even caregivers – and they deserve to be rewarded for their passion and dedication to their careers, especially given how hard they work for our children. But it can be hard to pick out a great gift for a teacher, even one who’s special to you. During Teacher Appreciation Week, teachers are often overwhelmed with gifts – #1 teacher mugs, candles, homemade treats, and personal care products are common. If you want to truly stand out and show a teacher your appreciation, you’re going to have to choose a gift that’s perfect for the occasion. And gift cards are a perfect choice! In fact, many teachers rate gift cards as their #1 most appreciated gift during Teacher Appreciation week. Gift cards offer awesome flexibility to teachers, without the awkward interaction of handing over an envelope full of cash. Teachers can buy whatever they want – whether for themselves, or for their classrooms – and truly feel appreciated. But not every gift cards is a great choice for a teacher, and most teachers want more than just a monetary gift. So in this guide, we’ll walk you through the basics about giving gift cards to teachers during Teacher Appreciation Week, and talk about some tips that will make your favorite teachers feel loved and appreciated. Before we get too deeply into discussions about gifts for teachers, we should touch on some of the legal restrictions involved. In some states, there are restrictions in place regarding the amount of money or value of products that can be given to teachers – and that includes gift cards. This applies mainly to public schools, where teachers are technically government employees. In Massachusetts, for example, there is a $50 limit on all gifts received by a teacher for their work-related performance, and they must disclose these gifts in writing. And in Alabama, a $25 limit is enforced on some gifts given to public school teachers, though a recent ethics commission meeting may change how this law is regulated. If you’re giving a gift to a public school teacher, you should inquire with administrative staff about relevant laws, disclosures, or any other problems that may occur. Doing so will ensure that you can give a great gift while still avoiding any potential legal trouble. Of course, these laws don’t apply to private schools. However, most private schools have their own regulations, ethics committees, and codes of conduct, so you should still consult with school administrators about what amount is an appropriate gift for a teacher. Generally, you don’t want to go overboard with the dollar value you give to a teacher. If you give a really expensive gift card to a teacher, it might make them feel a bit uncomfortable, or as if they may have to give you or your child special treatment. $25 is a fairly standard gift card amount. It’s enough that it can really make a difference for a teacher – whether they’re buying things for themselves, or for their classroom – but it’s low-value enough that they won’t feel obligated to do anything they would feel uncomfortable with. However, if a teacher has really done something special for your children – stayed late to help them with homework, comforted them when they had a panic attack on a field trip – whatever it may be, don’t hesitate to up the ante a bit – you could go as high as $75, if you really want to. Just make sure that such a valuable gift is cleared by any relevant administrators, and abides by school ethics rules. Don’t Just Give A Gift Card – Make Teachers Feel Appreciated! Gift cards are a fantastic way to give teachers monetary compensation – but that’s not all they want. If you really do appreciate a teacher, you should show it by giving them more than cash. You should get your children involved in this process, to really make it clear how much you value the investment that teachers make in their students. Here are a couple of ideas that you can use to help make a gift card a bit more special to a teacher. Heartfelt notes – You and your child can collaborate on a note, postcard, or greeting card to your teacher, and truly express what makes them so special. This is a great way to make a gift card feel more special and show teachers that you care. Handmade crafts or drawings – Handmade crafts and drawings are common gifts for teachers, and teachers love getting them and displaying them. Pairing a craft with a gift card is a great way to give teachers both an emotional and monetary reward. A simple “thank you” – What teachers really want is gratitude – both from you, and your kids. When you give your teacher a gift, bring your child along. A gift as simple as a gift card and a hug from a special student can be better than a million other presents if it’s heartfelt, sincere, and honest. By following these guidelines, you can truly make Teacher Appreciation Week special for any teacher who is special to you. Now, let’s take a look at gift cards themselves, and discuss which ones are the best for teachers. Despite popular belief, gift cards are not “one-size-fits-all” presents. You have to consider the recipient and their unique tastes – as well as their relationship to you. And while teachers are a diverse group, there are quite a few gift cards that are always going to be a hit. Coffee Shops – Just about every teacher we know walks into school each morning with a gigantic coffee in hand – it could be argued that the entire educational system runs on coffee beans! Because of this, gift cards to coffee shops like Starbucks are very popular gifts for teachers. Coffee shop gift cards are also great because teachers can get a lot of use out of them, even if they’re not high-value. A $25 Starbucks gift card can easily buy 5 or more specialty coffees, making it a very useful gift indeed. Bookstores – Most teachers are avid readers, and that’s a trait they always try to pass along to your kids. Reading is the cornerstone of just about all education – so give the gift of knowledge with a gift card to Barnes & Noble, Half-Price Books, or even Amazon.com. Often, teachers don’t have much money to spend on themselves, and that includes books. So giving them a gift related to their passion is a fantastic way to show your appreciation! Office Supply Stores – It’s an unfortunate fact that many U.S schools lack the funds to provide adequate schooling supplies for children. Many teachers have trouble getting funding for supplies, and end up buying them out of their own pocket. That’s one reason that gift cards to office supply stores are popular – teachers can spend them on school supplies without having to go through burdensome regulations about supply requisitions. And even if your school does provide adequate supplies for students, teachers love buying pens, planners, calendars, and other materials from office supply stores for their own personal use – so gift cards to Staples, Office Depot, and other stores are always a great idea. Salons, Spas & Other Beauty Treatments – Teachers work hard throughout the school year, and usually find supplemental work during the summer. Being a teacher is more than just a full-time job – it’s a way of life. And that way of life involves a lot of planning, grading, and working – and very little time off to truly escape from day-to-day life. Buying a teacher a gift card for a salon or a spa is a great idea. Teachers can use these gift cards to relax and take care of themselves – something they’ll surely welcome after taking care of your children for the entire school year! Restaurant/Movie Gift Cards – Many teachers may feel guilty about even spending money on a simple date, such as dinner and a movie. Giving your favorite teacher a gift card to a nice restaurant and ticket vouchers for a movie theater is a great way to allow them to have a guilt-free date night, or just enjoy a night out on the town. Craft Stores – These gift cards make a particularly good gift for elementary school teachers. Teachers love crafting with kids – and on their own – to make their classrooms more fun, unique, and welcoming. Gift cards to craft stores such as Michaels, Hobby Lobby, or Jo-Ann Fabrics are fantastic for teachers, who can use the funds to purchase crafting supplies either for themselves or for their classrooms. While the preferences of each teacher will be different, you’re sure to pick a great gift card if you choose from these 6 categories. And when you pair your gift card with a heartfelt “thank you” card, you’re sure to give a present that your favorite teacher won’t ever forget. Don’t Forget Other Staff Members! Naturally, you won’t have the time or money to spend buying special gifts for everyone in the school – and you should focus on teachers. But other staff members like administrators, principals, school nurses, and even janitors or kitchen staff can have a huge impact on your children’s lives – and they often go unappreciated. If you’d like to give gifts to other staff members, you should do so – but it’s best to do things slightly differently. After all, you can’t spend hundreds of dollars picking out high-value gift cards, or writing thank you notes to each and every staff member. But you can show your appreciation, and still make a difference in their lives. Pick up a bunch of inexpensive gift cards – $5 to McDonald’s, $5 to Starbucks, and so on – and give staff members their choice of gift cards. Chances are that they weren’t expecting to be given any kind of gift at all – so even a small token of your appreciation is sure to tug at their heartstrings, and make them feel special. And because you’ve given them different choices for their gift card, they can always pick one they’ll like, and be able to use. 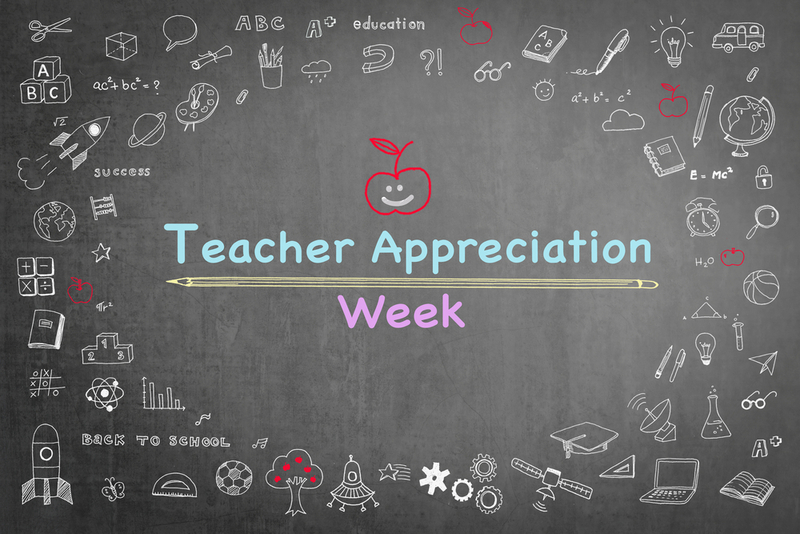 Follow These Steps – And Make Teacher Appreciation Week Special! Teachers are truly special. They offer care, guidance, and education to our children – and without great teachers, our kids would be totally lost. So make sure that your teachers know you appreciate them during Teacher Appreciation Week by following our guide to choosing a great gift card. And even if you have trouble picking out the right gift card, don’t worry about it. Even though teachers love to get a gift card they can use, it’s always the thought that counts – and if you give them a gift card with a heartfelt note, or express your appreciation for their work, they’re sure to love it. And if they can’t use your gift card, they can always sell it – today, there are many websites that specialize in buying unwanted gift cards, such as EJ Gift Cards. EJ Gift Cards buys hundreds of different gift cards, and pays out cash through PayPal. So follow this guide during Teacher Appreciation Week, and pick out the perfect gift for an educator who is special to you and your child. They’re sure to love your gift, and your heartfelt appreciation will be remembered for years to come.